There is no getting around it, at this time of year it’s pretty chilly in the water. 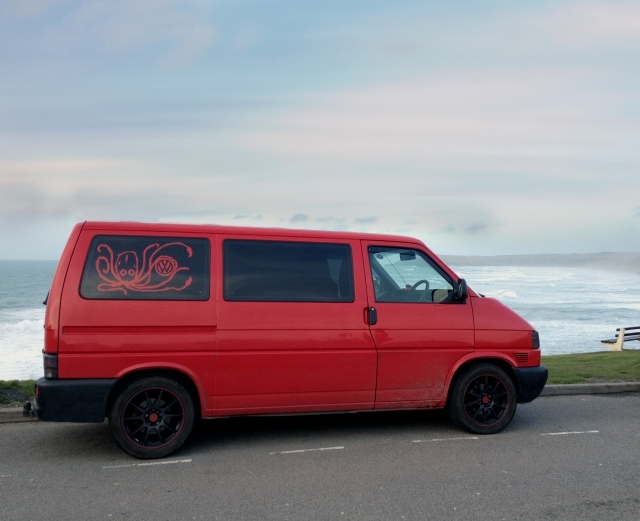 However as with most things there is an upside, the waves can be be better and quieter. So it really is swings and roundabouts! To get over the chillyness I always glove, hood and bootie up in the winter. My old pair of booties have done a fantastic job over the last few years but unfortunately I’ve had to retire them. They’ve become a bit battered and worn, so now they’re going to be used as a scruffier pair for kayaking and coasteering. Out with the old in with the new! 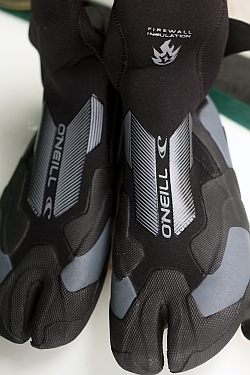 I’ve bought myself a pair of O’Neill Mutant 3mm Wetsuit Boot. I took them out for a lil spin to see how they fared against the old. 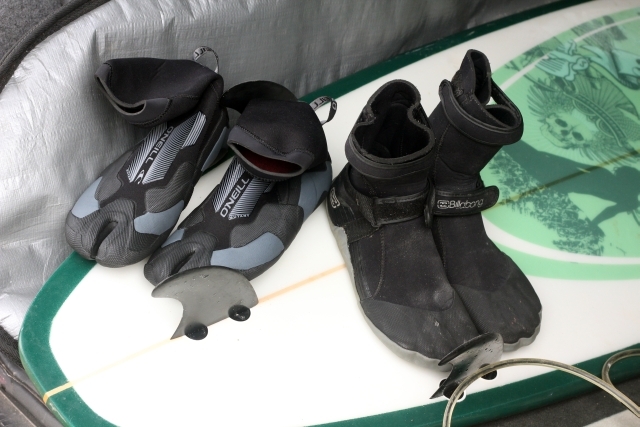 I popped the brand spanking new boots (fresh in their box) into my surf bucket and headed off to the beach. compared with my old pair. On the board the split toe really did aid balance and give me better feel than my last pair. With a thick but flexible rubber sole they stuck to the board super well. My old boots had velcro straps to keep them sealed and to give them a good fit, however the Mutants had O’Neill’s new SuperSeal enclosure. This meant they kept all the water out and as they had no straps allowed for a better seal around my ankles against my wetsuit. Although they were tight and sealed nicely they weren’t a struggle to get on and they had a nice loop at the back of the ankle to help with getting them on and off. All the seams have been blindstitched and glue sealed making these uber warm booties. 3mm are more of a summer boot but I tend to only wear boots in the winter and go barefoot in the summer, so they were great for me. In terms of appearance the Mutants look great, very modern and their plain black and grey styling mean that these boots would easily look good with all suits. I really love the O’Neill Mutants and am dead happy I went ahead and upgraded to them. 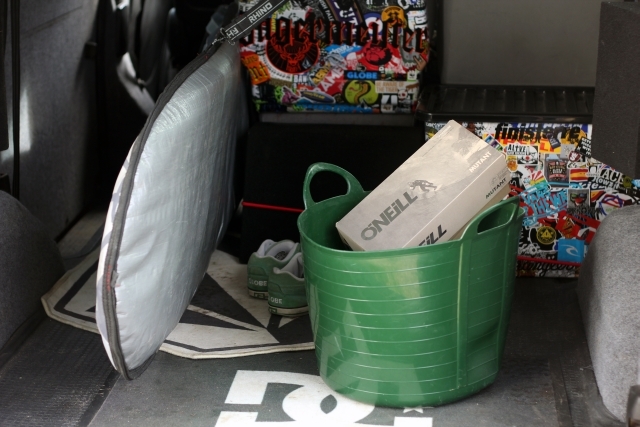 On the left my new O’Neill Mutants and on the right my old Billabongs. 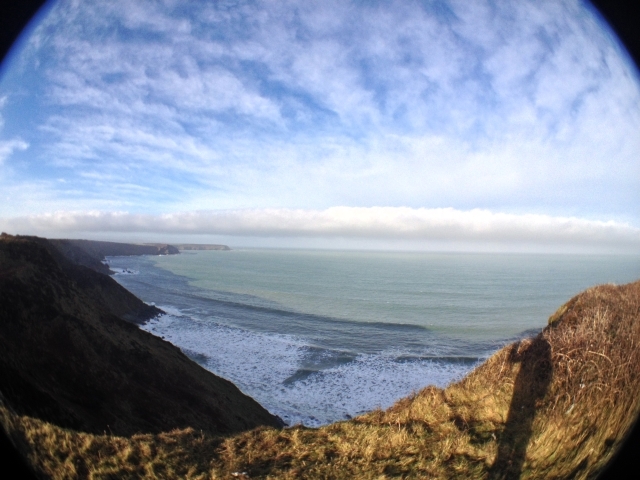 There is nothing better than warming up in some thick clothes whilst checking out an epic view.